The bootcamp is an opportunity to get a lot of information in a short time. It’s a chance to go home with a lot of things to work on and to think about. That gives you the opportunity to then work hard on all this material and improve as a vibe player or bass player! This year we’re adding a bass bootcamp to the vibes bootcamp. We will schedule some time where we’re all together and can work and play. Click on the title for more information! Limerick, Ireland is a great place for a workshop. It’s inexpense and there’s plenty to do. Our Ireland workshop is a week of hard work! We bring in a few vibraphones for you to practice on. Also in the evening there’s a jazz ensemble class for all instruments. 2 vibe players can also sign up for that class. It’s a great chance to play with other musicians and gain some experience there. During the day we bring in a bass player for some of the classes so we can talk about playing with bass and drums. The rest of the time we will work on all aspects of playing the vibes. Including dampening, pedaling, technique, grips, improv, chord studies, voicings, learning tunes and a lot more topics! There are plenty of BnB’s to stay at as well as the Limerick City Hotel which people have been staying at for the workshops for about 10+ years! The Steve Weiss Mallet Festival features some of the top mallet players in the world. The festival is dedicated to the memory of Steve Weiss the founder of Steve Weiss Percussion. Steve Weiss is the biggest percussion distributor in the world, and while Steve was alive he helped many of us buy percussion equipment by selling at the best prices in the world. And he was supportive of our work and efforts at percussionists. I had a friendship with Steve that lasted from 1979 until his death in 2014. I’m honored to be able to put this festival on in his memory. Come hang and study with us at the Steve Weiss Vibes Workshop 2019! The event will be at Settlement Music (School Queen Village Branch) in South Philadelphia. Cick the title for more information. I’ll be performing with Larry Mckenna (Sax), Matt Parrish (Bass) and Dan Monaghan (Drums). 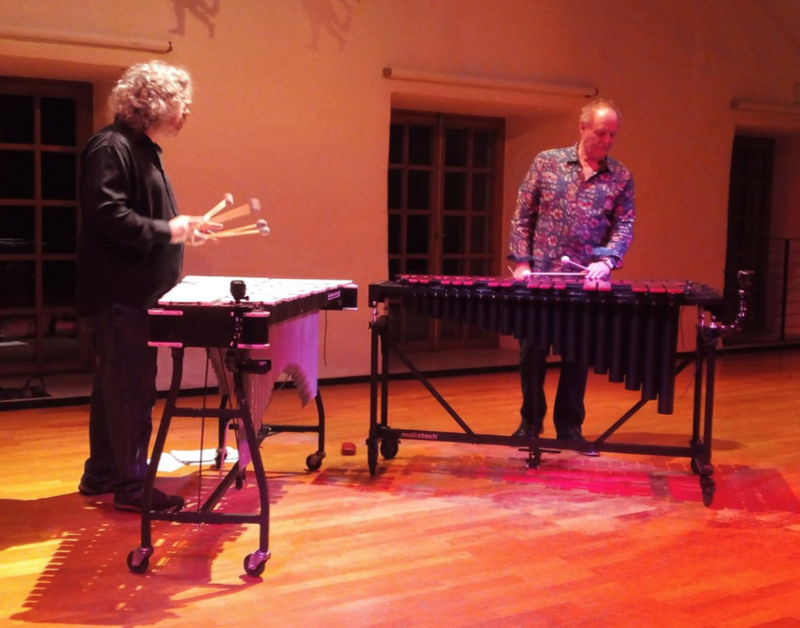 David Friedman and Tony Miceli Perform at the 2018 Percussive Arts Society International Convention, Indianapolis Convention Center in Sagamore Hall. David Friedman and Tony Miceli will perform at Westchester University in the Swope Music Buildiing on the Ware Recital Hall Stage. David Friedman and Tony Miceli will perform as a duo at the The Levering Mill Tribute House. I'll be performing with Chico Huff At the "Vault Brewery". Our Philadelphia area workshop has been going on for over 10 years now! This year it will feature David Friedman and Tony Miceli and take place in the very historic Germantown/Chestnut Hill area. A beautiful get away retreat vibe workshop! The second part of the workshop includes all instruments from all over France and Europe. A great opportunity to play with other musicians. The workshop will feature David Friedman and Tony Miceli plus David Patrois during the second week. 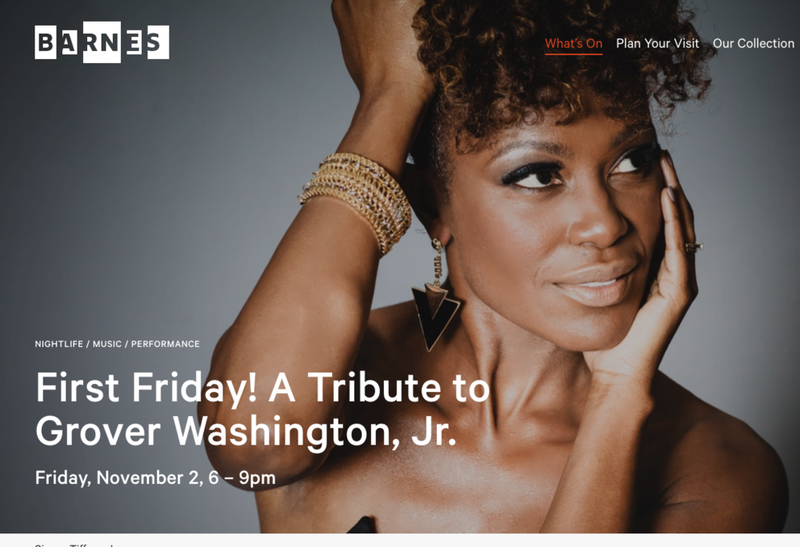 I'll be performing with the Diane Monroe Quartet! Get your vibe on with one of the worlds leading educators. This workshop features jazz vibe great Tony Miceli, in a 5-day intensive study on the art of improvisation. Each student will closely work with Mr Miceli. The week will conclude with a concert featuring the students of the workshop and guest artists and an online vibe hang. This is the perfect opportunity for keyboard percussionists to expand their awareness of improvisation and the jazz idiom. The first 5 people to register receive an individual lesson with Tony! For more information on Tony please go to www.vibesworkshop.com. Great Vibe hang this Sunday at noon gmt -5. It's a pro hang and will feature myself, Randy Sutin, Behn Gillece and Anthony Smith. It's online but if you live nearby come over and hang! Otherwise, watch online. Go to www.vibesworkshop.com for more info. Email me at tonymiceli@gmail.com for any questions. 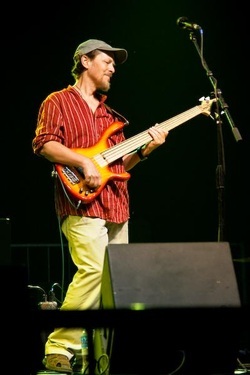 The Jost Project will be playing at the Ebbitt Room. Come out for a nice evening of Rock Classics performed in a jazz setting. The Jost Project will perform in the intimate Owen Salon overlooking Prince Street to launch our 2015-16 Jazz in the Sky series. All tickets include complimentary beverage service which begins at 7:00 PM with concerts beginning at 7:30 PM. An allstar event at the Barnes! Check out this line up! Great concert with Paul Jost (vocals), Matt Parrish (bass) and Charlie Patierno (drums). 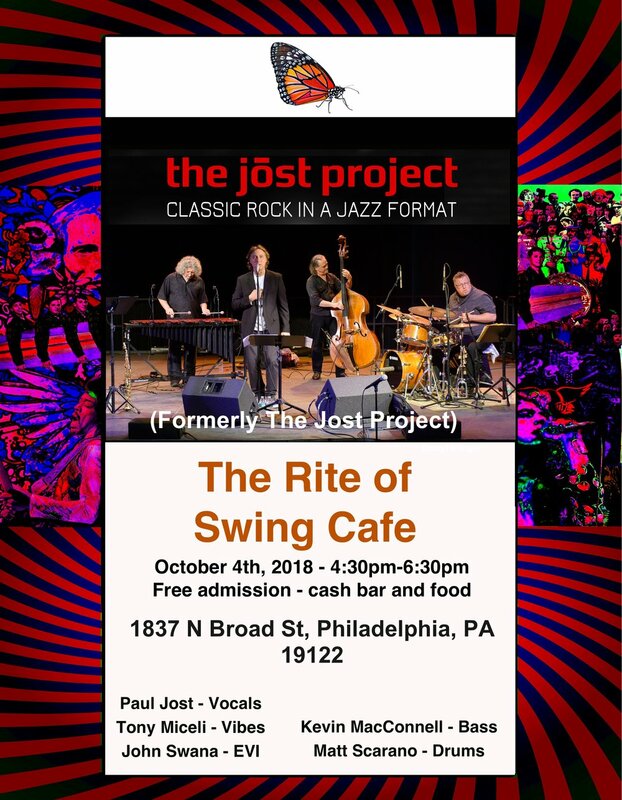 The Jost Project featuring Tony Miceli, Paul Jost, Kevin MacConnell, Anwar Marshall @ Jazz Base in The Crowne Plaza Reading. Four-day residency working with Grant Beiner, who works at the school, and student percussionists who attend the high school. Friday, the school will host a concert featuring the students and myself.